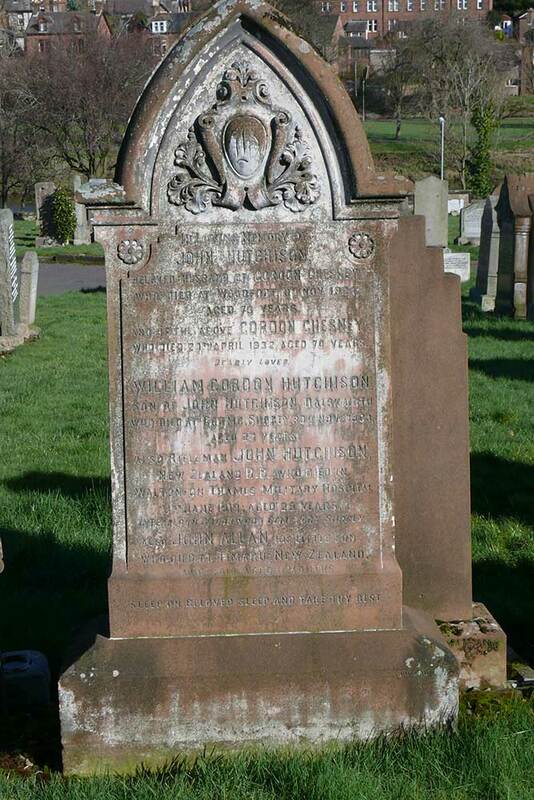 John Hutchison was born 1890 in Skelmorlie, Largs, Ayrshire to of John and Gordon Glover (Chesney) Hutchison. He was.educated at Lochfoot School, in Lochrutton Parish, Kirkcudbrightshire and worked on the nearby Dalskraith Estate, Troqueer where his father was the Steward. He emigrated to New Zealand in 1910 and was a mail-coach driver for W L Bourn of Fairlie when he enlisted in May 1918. John sailed from Wellington in July 1918 in “F” Company, 41st Reinforcements, NZEF and was based at the Rifle Brigade's training camp in Staffordshire when he became ill. He died in the New Zealand Hospital, Walton-on-Thames, Surrey. 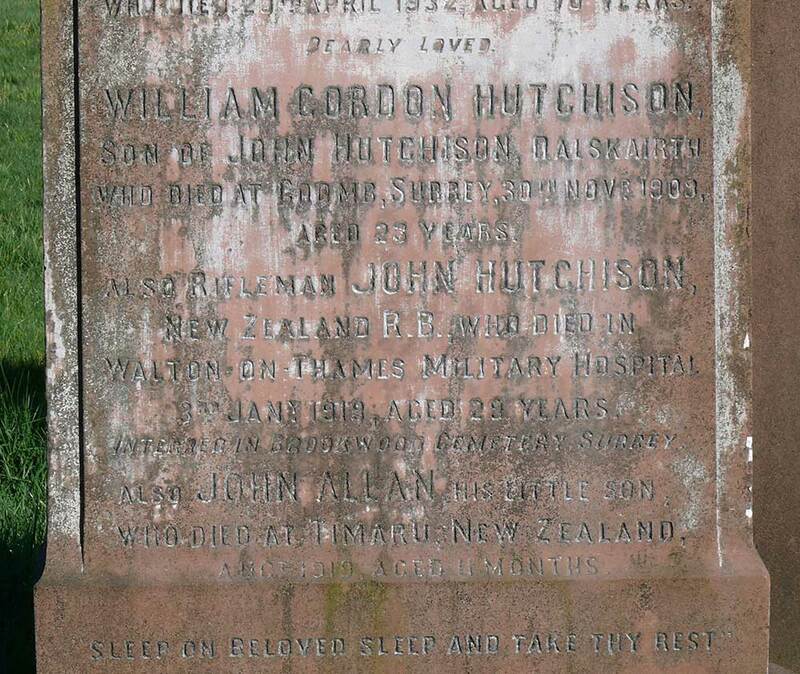 John was married to Mrs Mary Hutchison, living at 14 Victoria Street in Timaru at the time of his enlistment. Later though his wife’s address was amended to “Zealandia Hotel, Clyde Quay, Wellington”.